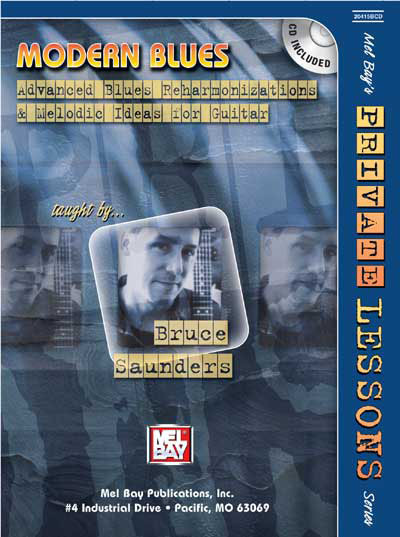 Modern Blues is for intermediate to advanced players wishing to expand their melodic and harmonic vocabulary. The music is in standard notation as well as tablature and a CD is included in which the more difficult exercises are played at a slower as well as faster tempo. The CD was recorded with live drums, acoustic bass and guitar. All the exercises are included on the CD as well as many practice tracks that enable the student to play with a rhythm section. The book covers such topics as reharmonization, exotic chord/scale combinations, intervallic and triadic exercises, alternate pentatonic suggestions and exercises and many other topics.